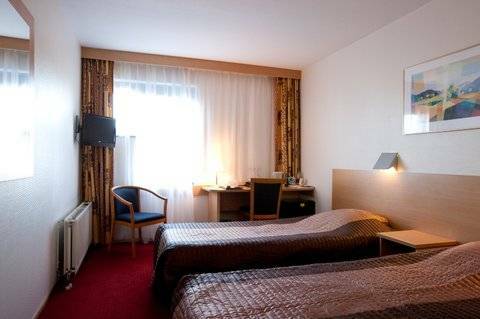 Bastion Hotel Groep stands for a personal atmosphere, hospitality, comfort and good facilities for an attractive rate. 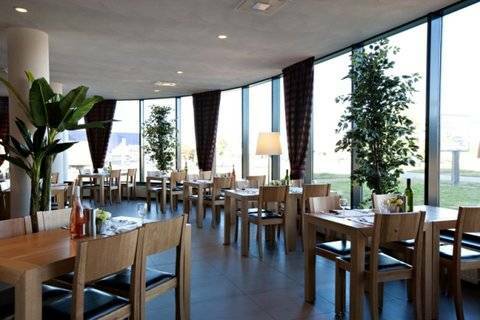 Bastion Hotel Amsterdam/Centre North offers a 24 hour front office, comfortable rooms and an extensive choice of dishes from the a la carte menu in the atmospheric restaurant. 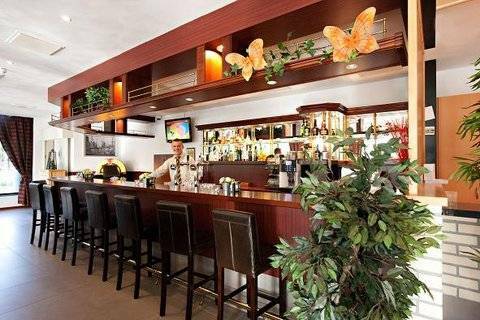 For relaxation and a nice ending of the day guests are always welcome in the cozy hotel bar or smoking lounge. This lounge contains an lcd television, air-conditioning and relaxing lounge chairs. The hotel also has free wireless internet in the entire hotel. In the lobby the hotel has a computer available, for guests, for free use of the internet. Domestic animals are not allowed. 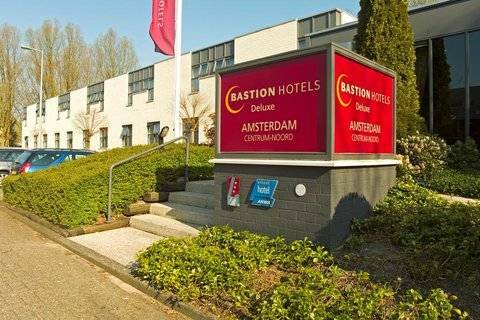 Bastion Hotel Amsterdam Centre-North is situated in the area Amsterdam Noord, which is divided from the city of Amsterdam by the river IJ. The hotel offers free parking. During the day and at night there is a good bus connection with the city centre at a nearby bus stop (Waddenweg). The hotel can also be easily reached by car. guests can discover Amsterdam with her historical buildings, the canals, museums and markets. Guests can also discover the environment which is known for the Zaanse Schans, where people can find crafts workshops, a few windmills and nice shops. 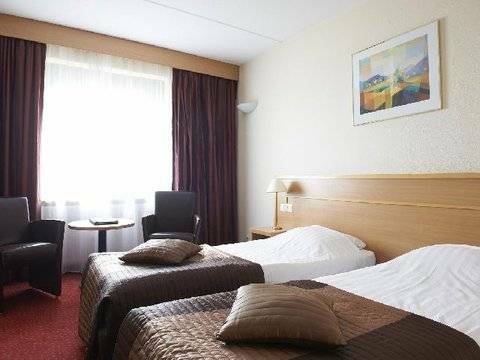 STANDARD - ROOM - The hotel has 24 comfortable Deluxe and 44 standard rooms. 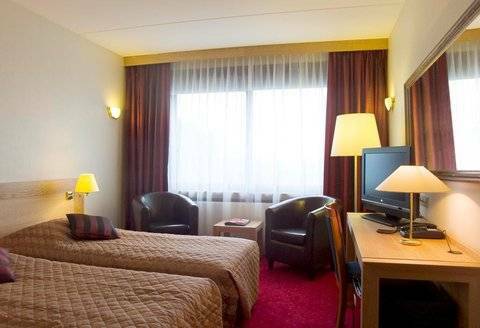 The standard rooms are equipped with a television, a modem, an alarm clock, a bureau, a safe, a minibar, free coffee and tea making facilities and a bathroom with a shower and toilet. DELUXE - ROOM - The hotel has 24 comfortable Deluxe and 44 standard rooms. 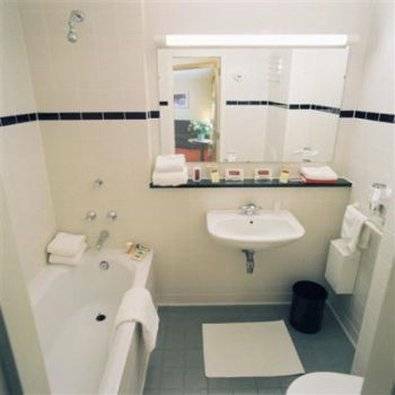 The Deluxe rooms are more spacious than the standard rooms and are equipped with a television, a modem, an alarm clock, a bureau, a safe, a minibar, free coffee and tea making facilities and a bathroom with bath, toilet and hairdryer.